Jenkins is an open source automation server suitable for automating Continuous Integration and Continuous Delivery pipelines. Toad DevOps Toolkit is a COM objects based tool for developing DevOps evaluations and workflows. Toad DevOps Toolkit supports running Windows PowerShell scripts in addition to VBA and PL/SQL scripts. Jenkins provides plugins to run different scripts including PowerShell, VBA and Pl/SQL scripts. In this article we shall use Jenkins plugin for PowerShell, the PowerShell plugin, to integrate with Toad DevOps Toolkit. 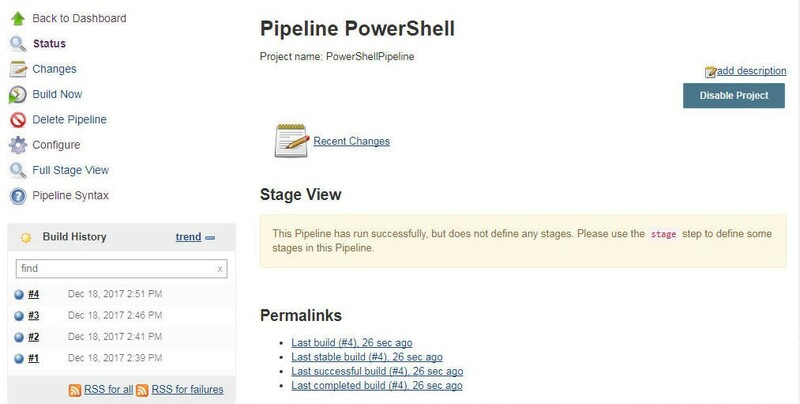 The benefit of using the PowerShell plugin is being able to run PowerShell commands in a Jenkins pipeline. This article has the following sections. To install Jenkins double-click on the jenkins.exe application to launch the Jenkins Setup wizard. Click on Next in the Welcome screen as shown in Figure 1. Specify a directory in which to install Jenkins (a default directory is listed) as shown in Figure 2 and click on Next. In Ready to Install click on Install as shown in Figure 3. Jenkins begins to get installed, as shown in Figure 4. 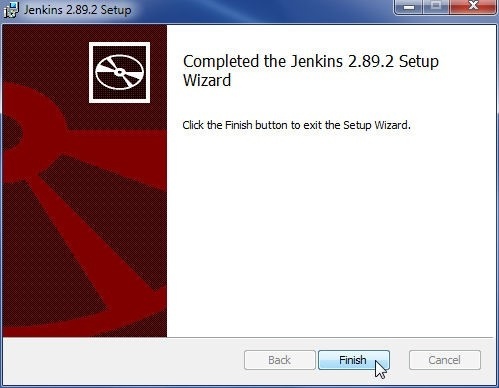 When Jenkins installation has completed click on Finish in the Setup wizard as shown in Figure 5. Login to the Jenkins Web UI at URL http://localhost:8080 as shown in Figure 6. 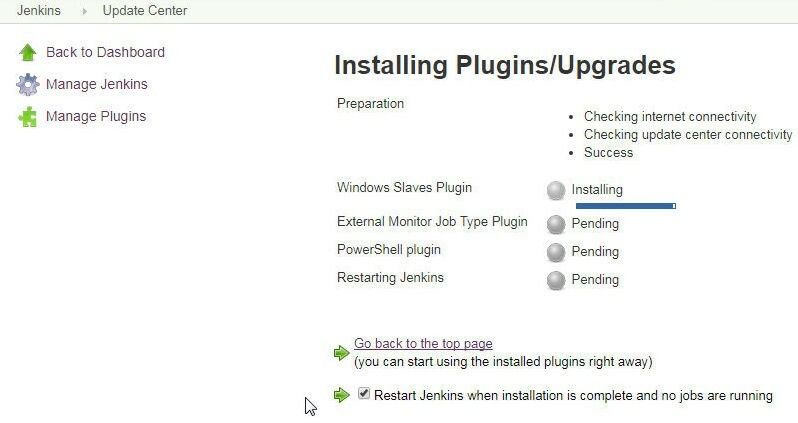 To install the PowerShell plugin click on Manage Jenkins as shown in Figure 7 in the Web UI. 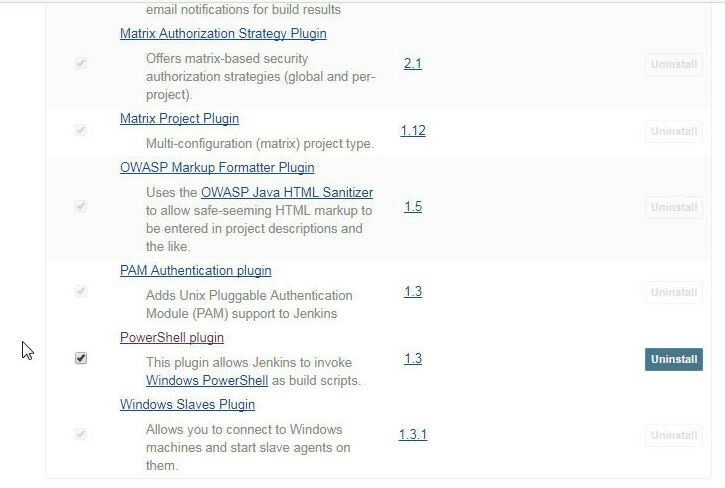 In Manage Jenkins select Manage Plugins as shown in Figure 8. Specify “PowerShell” in the Filter to list the PowerShell plugin, as shown in Figure 9. Select the PowerShell plugin and click on Install without restart, as shown in Figure 9. The PowerShell plugin and the dependency plugins start to get installed, as shown in Figure 10. 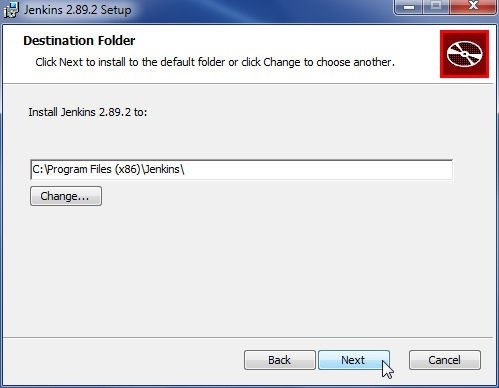 Select the option to restart Jenkins after installation has completed. After the PowerShell plugin has installed the Jenkins begins to restart, as shown in Figure 11. 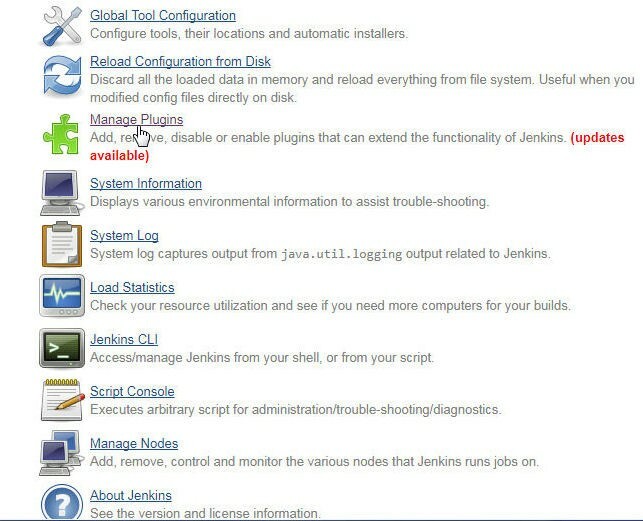 After Jenkins has restarted select Manage Jenkins>Manage Plugins and select the Installed tab as shown in Figure 12. The PowerShell plugin is listed as being installed, as shown in Figure 13. 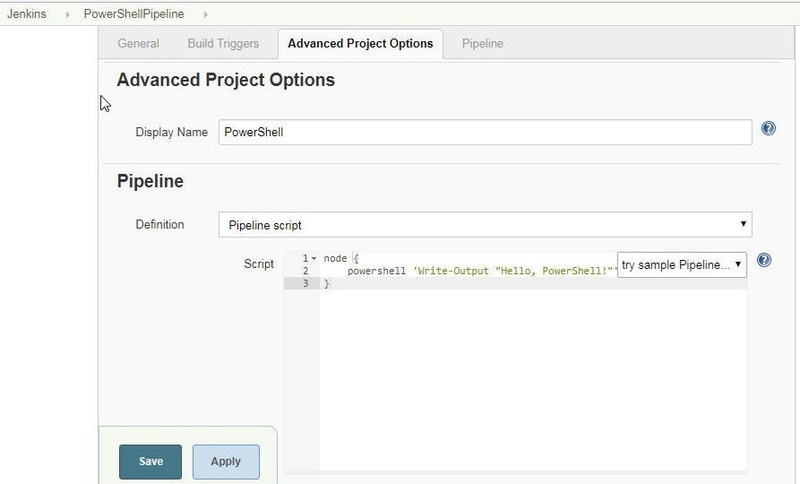 The PowerShell plugin lets a user run PowerShell scripts from a Jenkins Pipeline. The PowerShell plugin provides the powershell step, which supports the parameters in Table 1. Runs a batch script in which multiple lines may be added. The return status to indicate if the script succeeded or failed. The value may be true or false. The return status is 0 if the script succeeds. If the script fails the status code is returned and an exception generated. If set to true the standard output stream from the task is returned as a String. The other output streams (error stream, warning stream, verbose stream, and debug stream) are redirected to the console output. 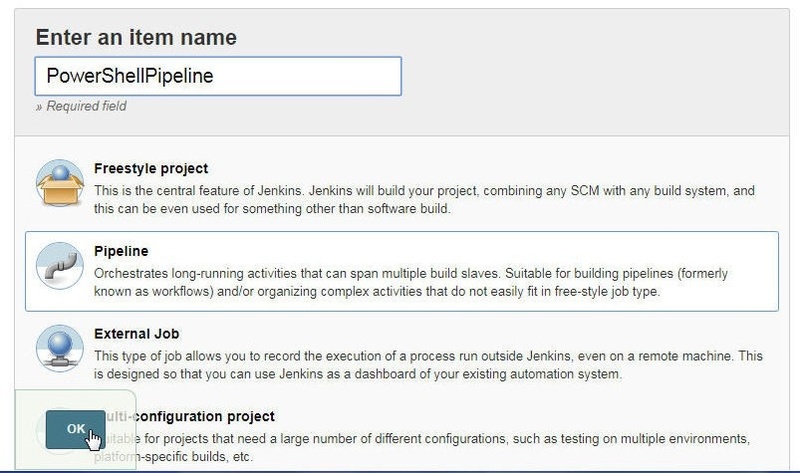 To create a Jenkins pipeline click on create new jobs as shown in Figure 14. Alternatively, click on New Item. In the New Item wizard specify an Item name (PowerShellPipeline) and select the job type as Pipeline as shown in Figure 15. Click on OK. The detailed pipeline configuration fields get listed, as shown in Figure 16. The General tab is selected by default. Click on Save as shown in Figure 16 to save the pipeline configuration after making any modifications. Select the option to build the pipeline periodically and specify a schedule, as an example, every 5 minutes, as shown in Figure 17. The syntax used to specify the build schedule may be obtained from the help (?) icon. In Advanced Project Options specify a Display Name (PowerShell) as shown in Figure 18. 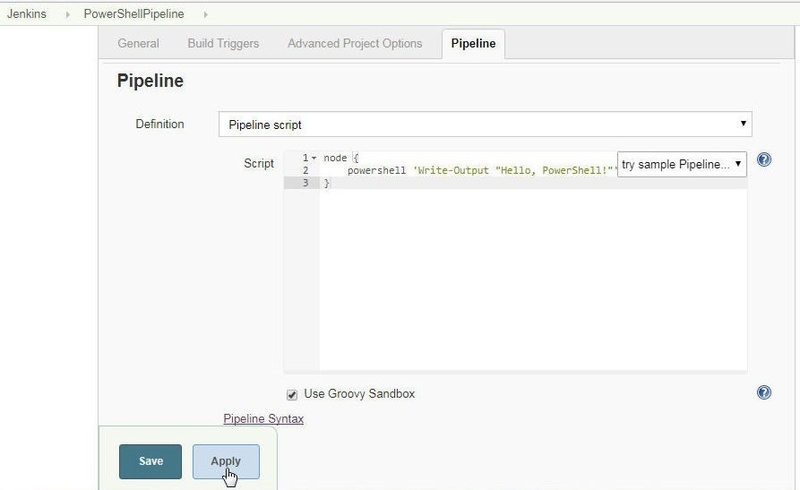 In the Pipeline tab specify a script using a node step. The powershell step is used to run a PowerShell script. The powershell step supports cmdlets and inline PowerShell scripts, or a mixture of the two. In the following script the powershell step invokes the Write-Output cmdlet to output a Hello message. Copy the script to the Script field as shown in Figure 19. Click on Apply. 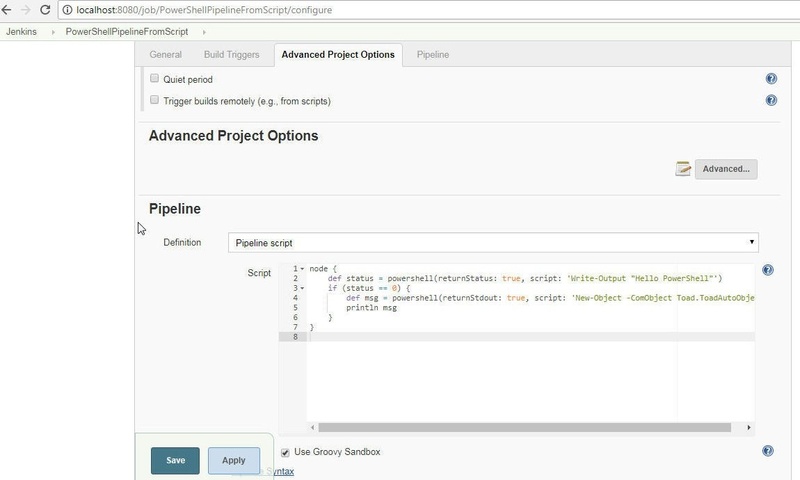 Click on Save to complete the pipeline configuration. The PowerShell pipeline runs every 5 minutes (or on the configured schedule) to output the Hello message. The pipeline may be run with Build Now, as shown in Figure 20 outside the schedule. The pipeline starts to run, as indicated by the progress bar in the Build History in Figure 21. 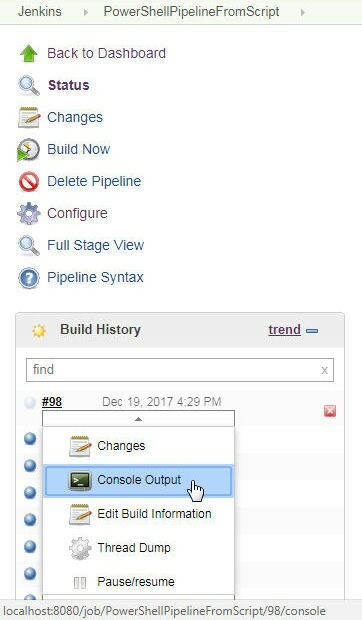 When the pipeline has completed running, click on the pipeline dropdown icon and select Console Output as shown in Figure 22. The Console Output lists the Hello PowerShell! Message, as shown in Figure 23. Click on Console Output>View as plain text, as shown in Figure 24, to display the console output as plain text. The Console Output text gets displayed in a browser, as shown in Figure 25. 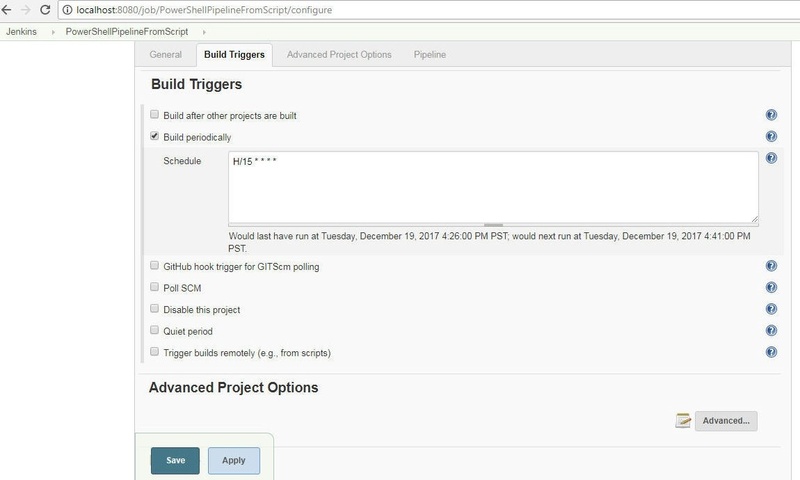 Because the pipeline is configured with a schedule to run every 5 minutes, multiple builds are listed in Build History in Figure 26. 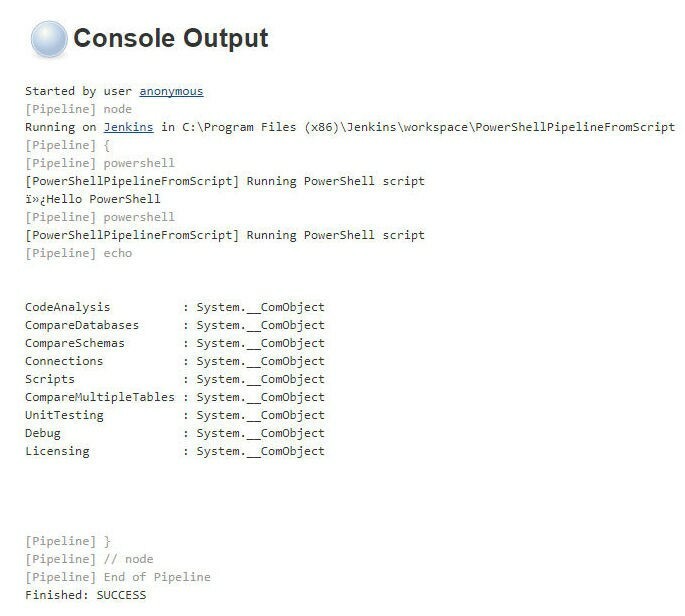 The PowerShell pipeline is shown in the Dashboard in Figure 27. 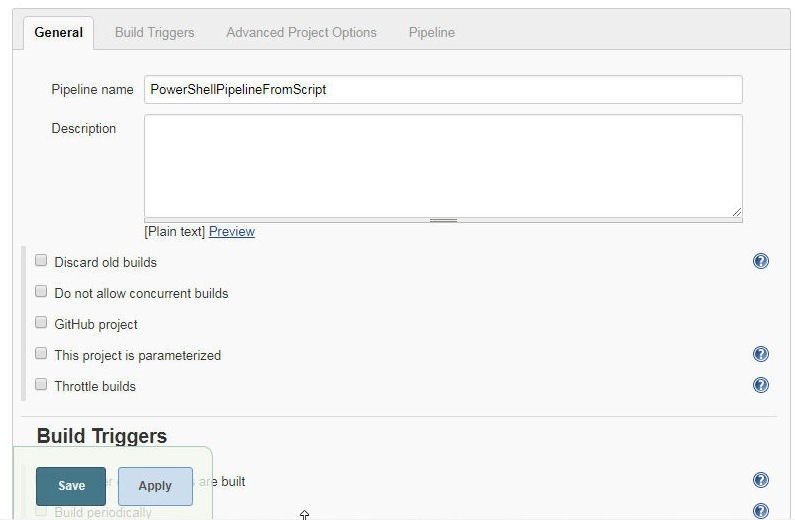 In this section we shall create a Toad DevOps Toolkit COM instance using a Jenkins Pipeline, making use of the PowerShell plugin to invoke cmdlets/scripts from Jenkins. 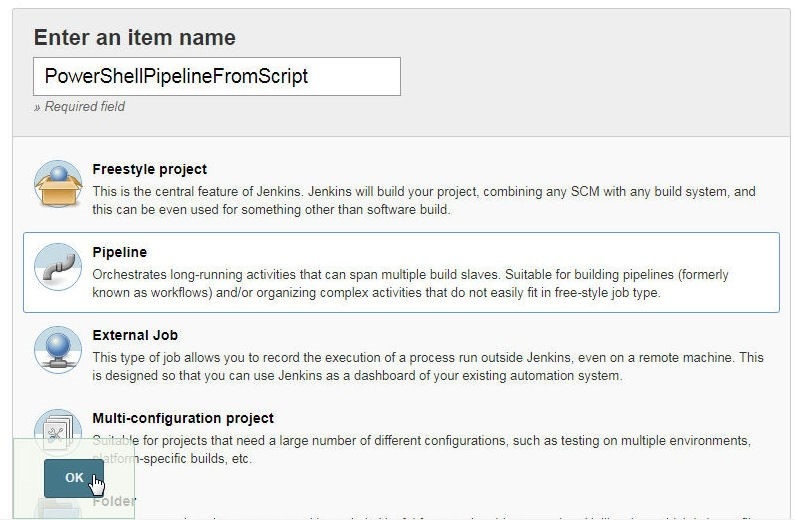 What a Jenkins pipeline provides is the ability to automate the process of invoking cmdlets/scripts, to schedule running a pipeline at a specified interval, and to run the cmdlets/scripts in sequence and conditionally based on the status of an earlier script. 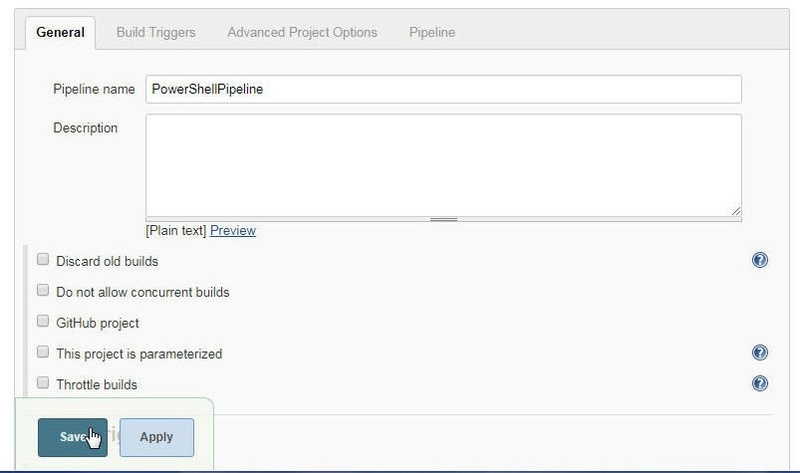 Click on New Item in Jenkins Web UI as shown in Figure 28 to create a new Jenkins Pipeline. Specify a Pipeline name (PowerShellPipelineFromScript), select item type as Pipeline, and click on OK, as shown in Figure 29. The pipeline configuration wizard gets launched, as shown in Figure 30. If the pipeline is to be run periodically select the Build periocially option and specify a Schedule as shown in Figure 31. Create a script to invoke the powershell step to create a Toad.ToadAutoObject object using the New-Object cmdlet. Set returnStdoutto true to return the standard output from creating a Toad.ToadAutoObject object. The powershell step to create a Toad DevOps Toolkit instance may be run based on the status of a preceding powershell step in which the Write-Output cmdlet is invoked to output a Hello PowerShell message. If status is 0 it implies the PowerShell script ran successfully. Setting returnStatus to true returns the status of running the PowerShell script. Copy the preceding script listing to the Script field of the Pipeline as shown in Figure 32. Click on Build Now to build the pipeline as shown in Figure 33. When the pipeline has completed running select Console Output from the build as shown in Figure 34. The Console Output gets listed, as shown in Figure 35. The output from running the pipeline creates a Toad DevOps Toolkit instance and the COM objects created are listed in the output. Toad DevOps Tookit API-based scripts may be run directly in a powershell step. The two Jenkins pipelines used in this article are displayed on the Dashboard in Figure 36. In this article we discussed integrating Toad DevOps Toolkit with Jenkins using the PowerShell plugin. 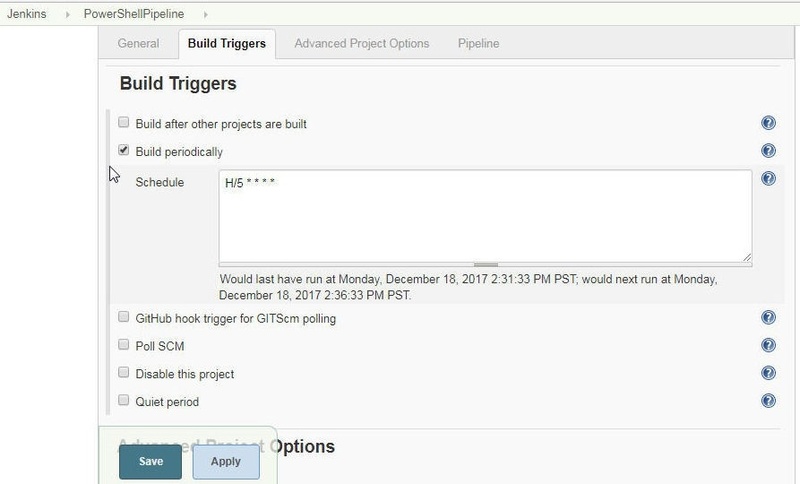 With a Jenkins pipeline, Toad DevOps Toolkit cmdlets and scripts may be automated.